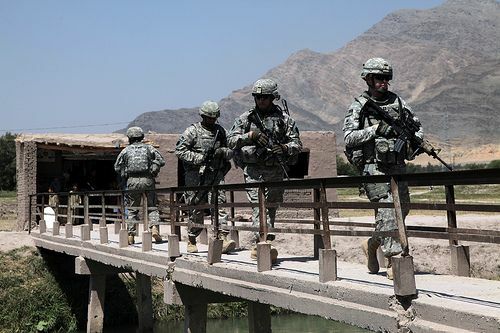 Members of the Provincial Reconstruction Team from Forward Operating Base Finley Shield walk through a construction site to ensure building is on schedule near Jalalabad city in Nangarhar, Afghanistan, on June 10. Photo via the US Army photo by Spc. David Jackson.